"Thin slick design that blew away the other cars!! I was a little nervous purchasing a pre-built car, but I couldn't be happier with the results. The car not only looks very cool, but it is extremely fast. I look forward to purchasing from you again." Our cool Camouflage car is a super fast, pre-built pinewood derby car designed to meet BSA rules. It is an Official BSA car block, BSA axles and BSA wheels from the Cub Scout kit. This car has been pre-weighted, painted, track tested, and supplied with our BSA precision lathed Speed Wheels and BSA polished axles. Yes, it is fast. The Camouflage color comes from a vinyl body skin to give you a cool, hot, perfect finish! Average car. Did not stand up to the price. Cheaply made. Very disappointed! 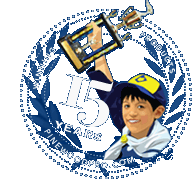 This was the first fully assembled pinewood derby car we had purchased. My son won his den heat. He got the big trophy! We came in 3rd out of 8 for the championship. Was very happy with this purchase. My sons and I have always built their cars in the past and have won with them so I was nervous about buying a pre built car. However this year our pack leader decided to announce our race day three days before the race. Which left us with no time to get a decent car built because of my work schedule. On race day my son lubed the axles with the graphite and sat back and watched his car win round after round all the way to the finals which he won by about 5 feet. This car is outstanding! My son won a trophy and medal! He was first against every car, and none of the races were even close! Thin slick design that blew away the other cars!! I was a little nervous purchasing a pre-built car, but I couldn?t be happier with the results. The car not only looks very cool, but it is extremely fast. I look forward to purchasing from you again.